Dinner at Weber Grill | NJNA is Blogging! After a quick trip to the grocery store for a few snack items of both the liquid and solid types, Heidi and I decided we wanted burgers for dinner. We both thought we'd passed a place in one direction from the hotel but couldn't find anything. Coming back toward the hotel, we found a restaurant that looked promising only to find it had at least an hour wait (of course, it's Saturday night in the city!). 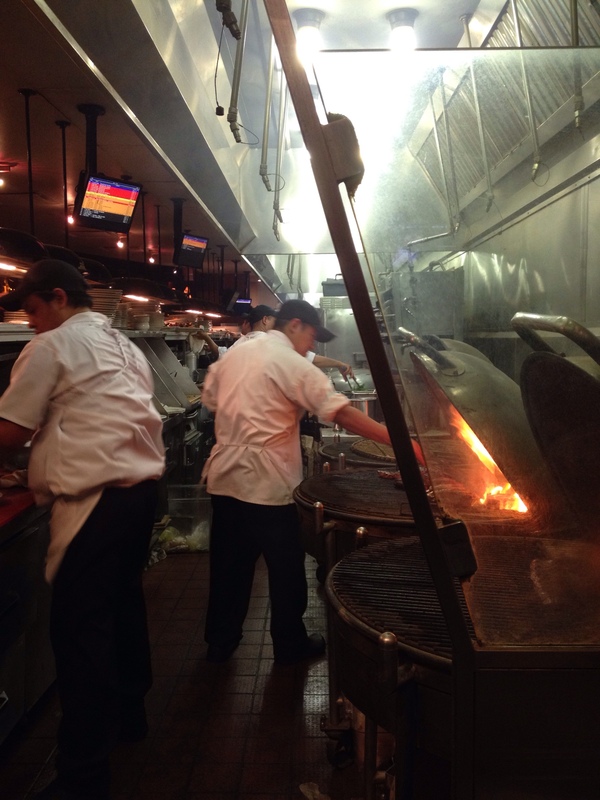 I had seen Weber Grill (yes, as in Weber grills) by the grocery store and we were able to get 2 seats immediately at the chef's bar where we could see them cooking at the grills. Burgers were absolutely delicious. I am glad though I got the 1/3 lb and NOT the 1/2 lb one!